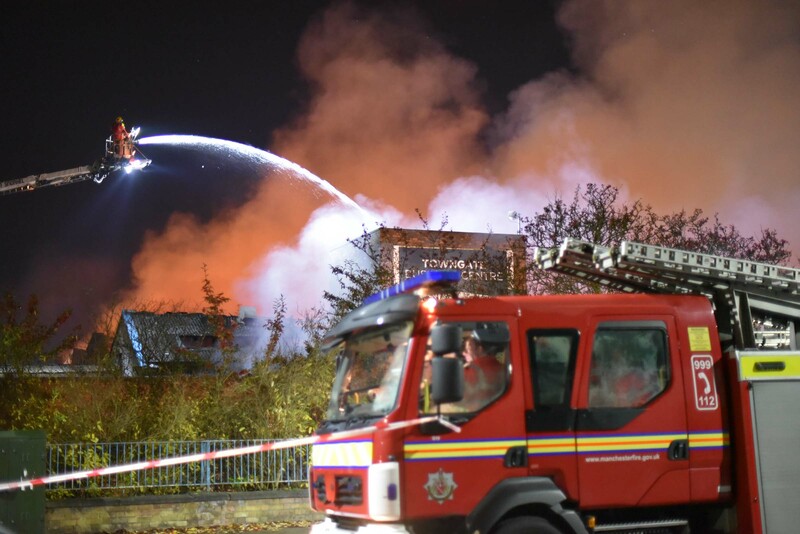 Crews from Greater Manchester Fire and Rescue Service are currently tackling a large warehouse fire in Little Hulton, Salford. 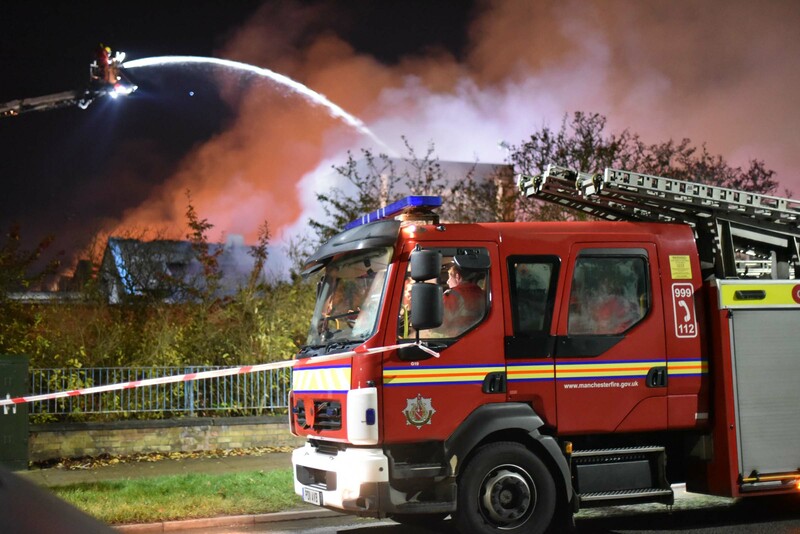 GMFRS was called to Lester Road on the Worsley Trading Estate, Little Hulton, shortly after midnight on Thursday, November 15 and eight fire engines and two aerial appliances are currently at the scene tackling the blaze. 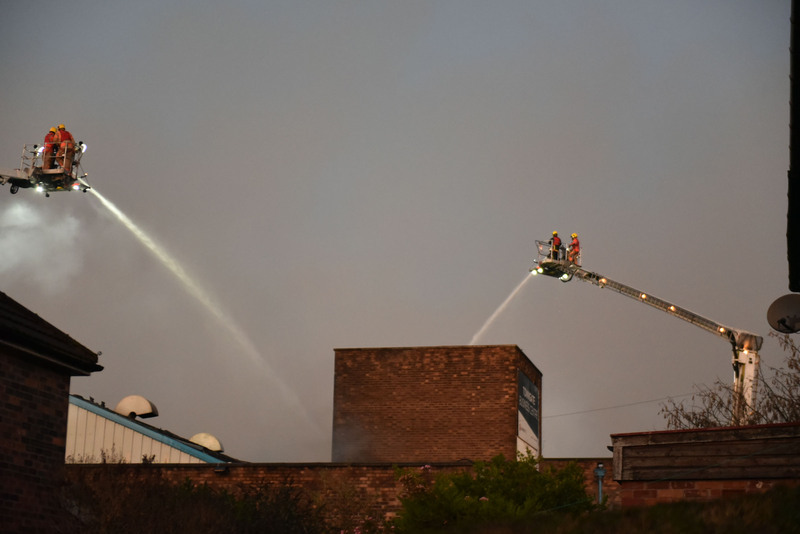 The warehouse is well alight and the fire currently measures 100 metres by 100 metres. People are asked to avoid the area and residents who live nearby should keep window and doors closed. 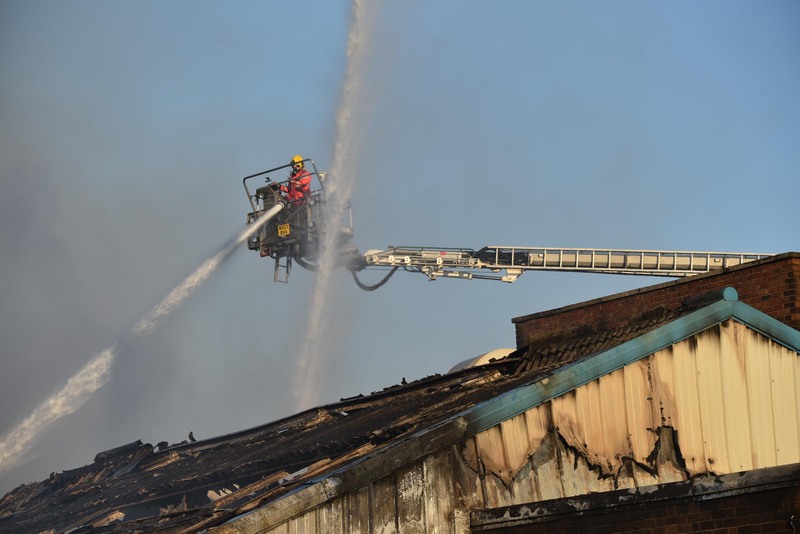 Firefighters are continuing to tackle a large warehouse fire in Little Hulton. 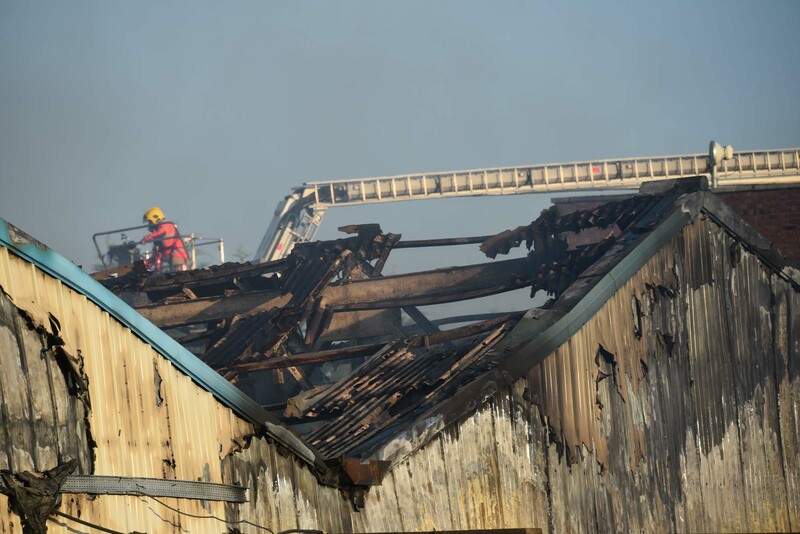 10 fire engines and two aerial appliances are currently at the scene and are making good progress tackling the fire, which involves the whole roof of the warehouse. 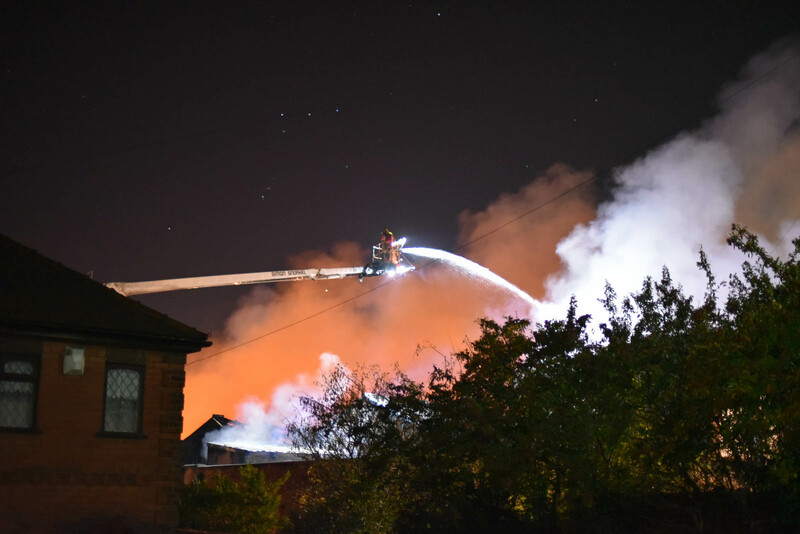 People are still being urged to stay away from the area and people living nearby should keep windows and doors shut. 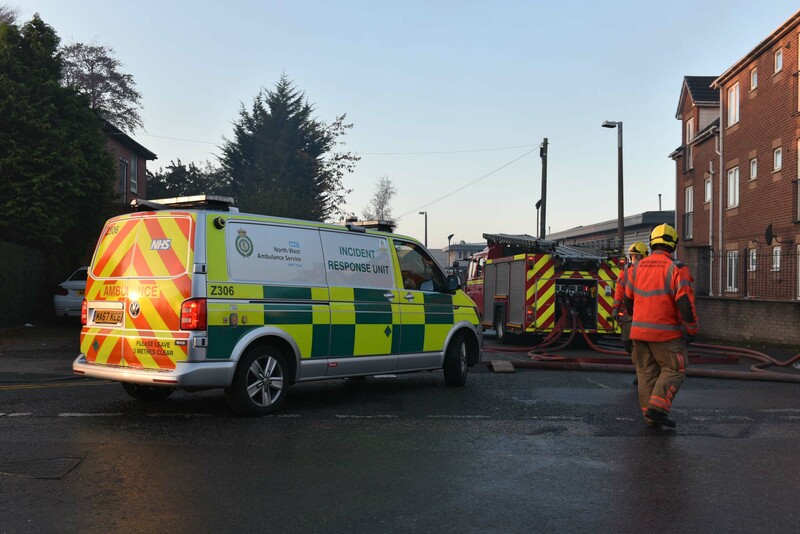 Colleagues from North West Ambulance Service and Greater Manchester Police are assisting at the scene. 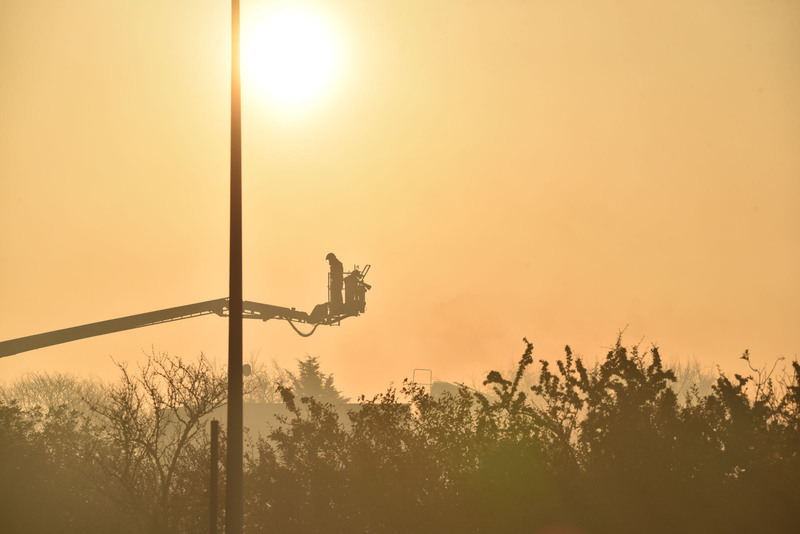 Firefighters have now surrounded the fire and brought it under control. We are working closely with colleagues from Salford Council and we are asking people to please continue to keep all windows and doors shut. 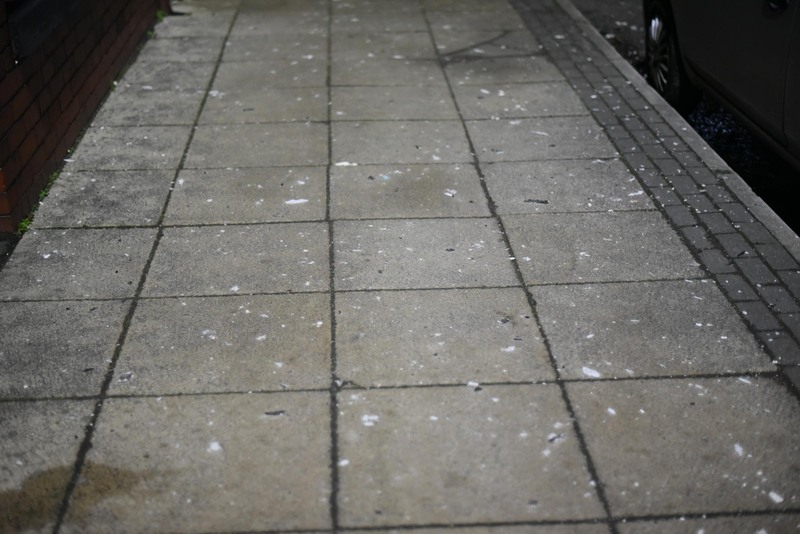 If you see any white asbestos on the ground or surfaces please stay away and do not touch it. 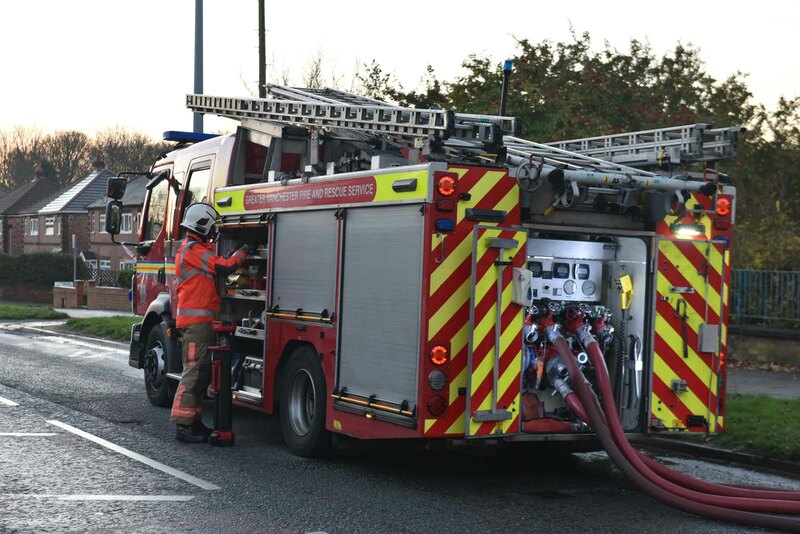 A road closure is currently in place on Manchester Road west at junction 4 of the M61. 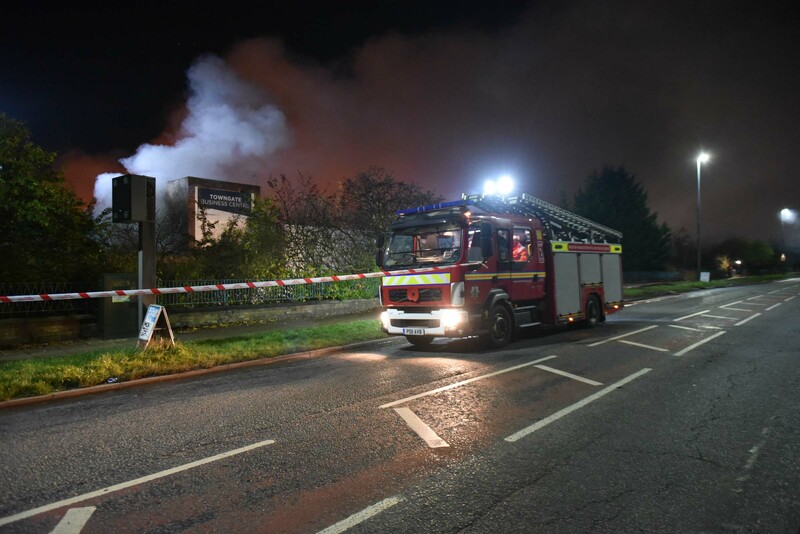 People are being urged to stay well clear of the area. 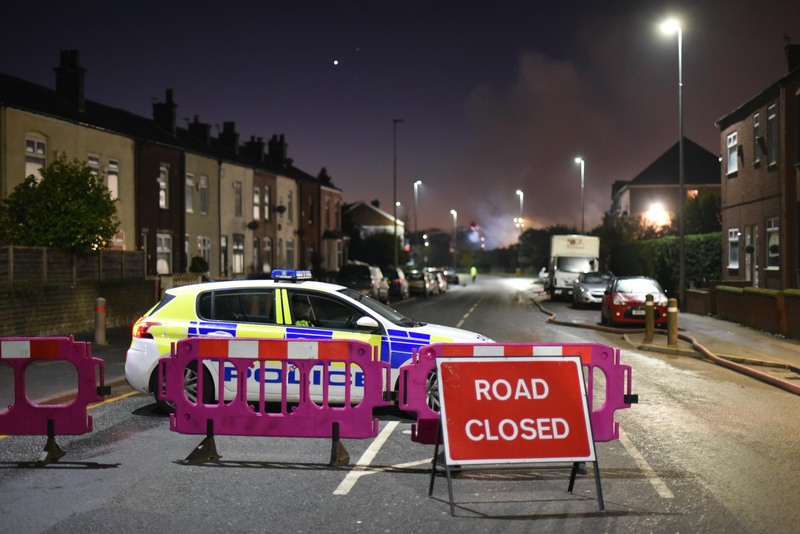 Colleagues from GMP are assisting with the local road closure and reassurance in the local area. 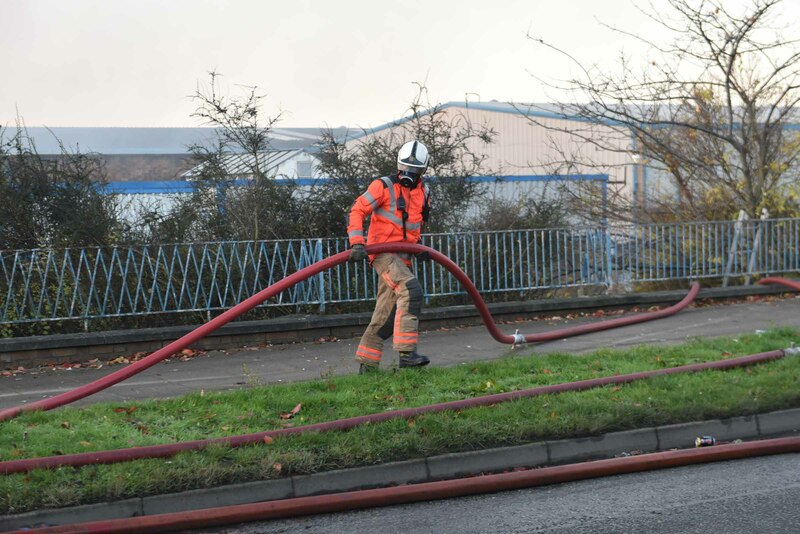 The incident has now scaled back to eight pumps and two aerial appliances. 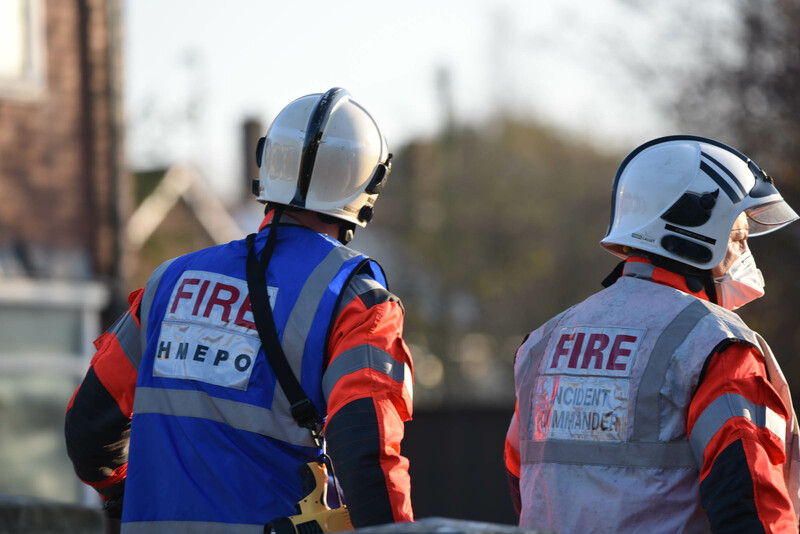 Providing an update on the situation, Incident Commander Tony Bryan said: “Our crews have worked tirelessly through the night to tackle this very challenging incident. 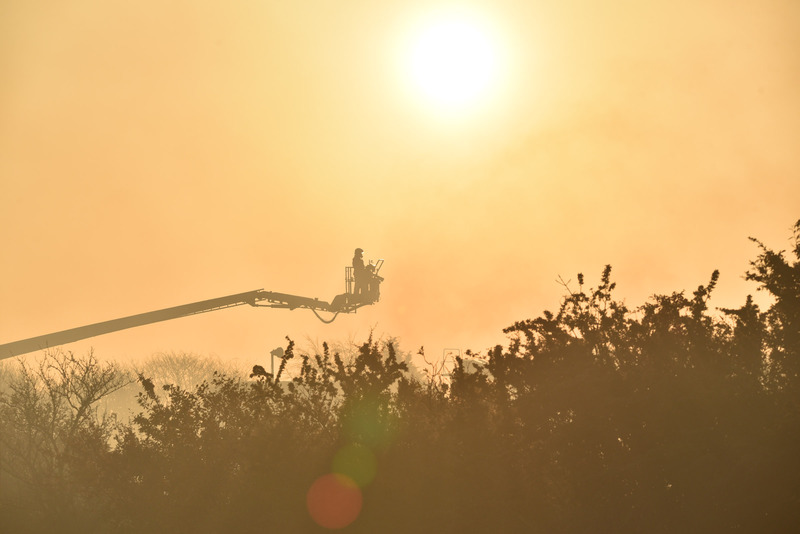 Thanks to their hard work the fire is now surrounded and under control. 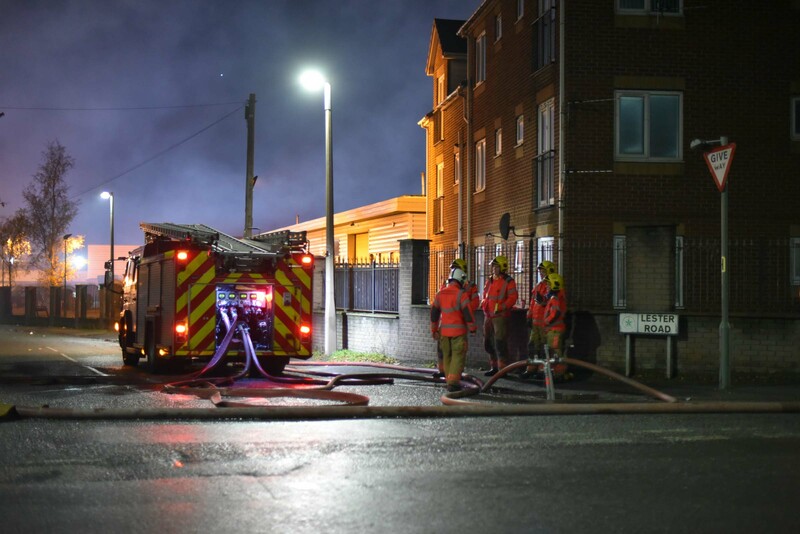 “There will be an emergency service presence at the scene for some time yet and there will be some disruption, I would like to thank residents for their cooperation. 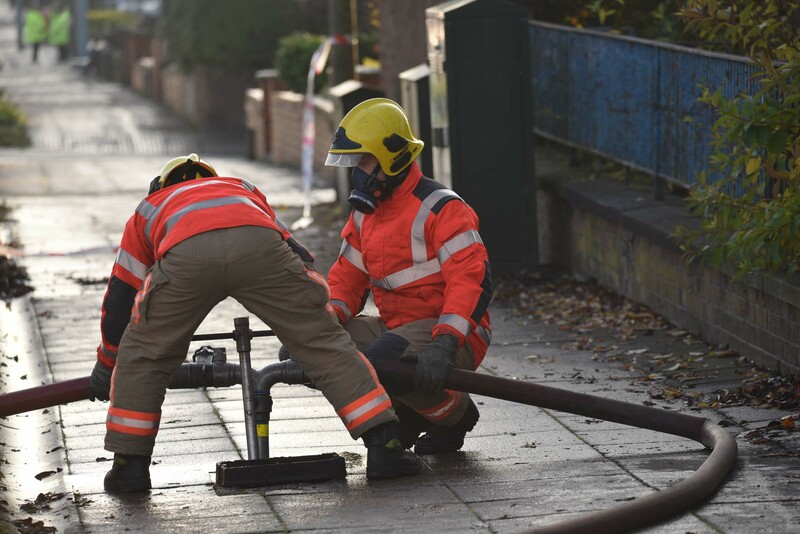 As a result of the fire, some asbestos has been blow on to surfaces in the local area. 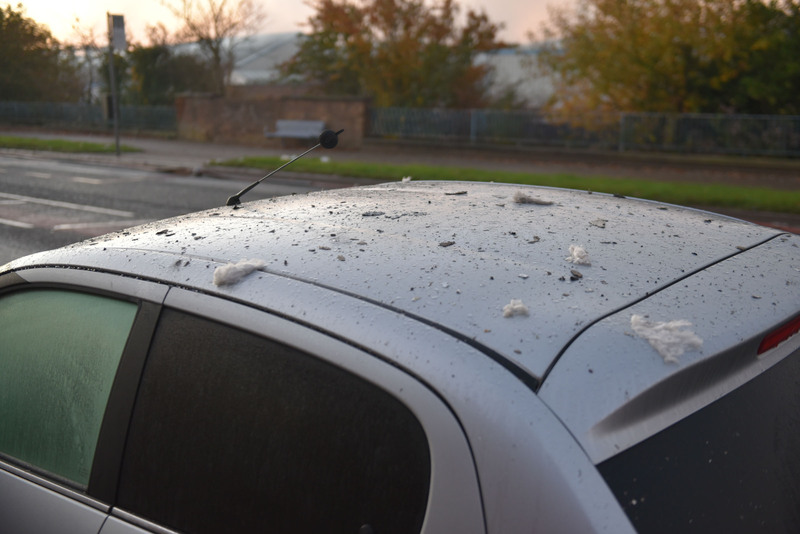 This is low level asbestos and is nothing to worry about but if you see any please do not touch it. 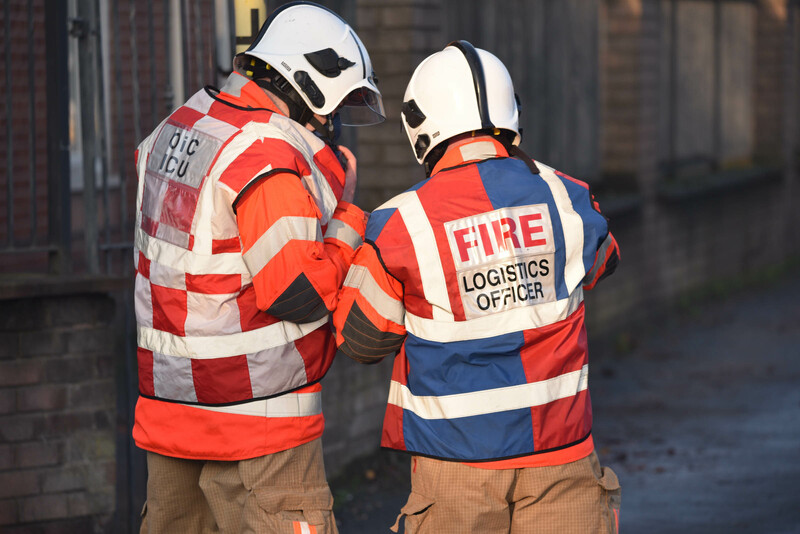 “We currently have the Forward Incident Officer (FIO) from the Local Authority supporting us at the incident. We are currently arranging street cleansing, and notifying various premises such as schools which have been affected in the immediate vicinity. 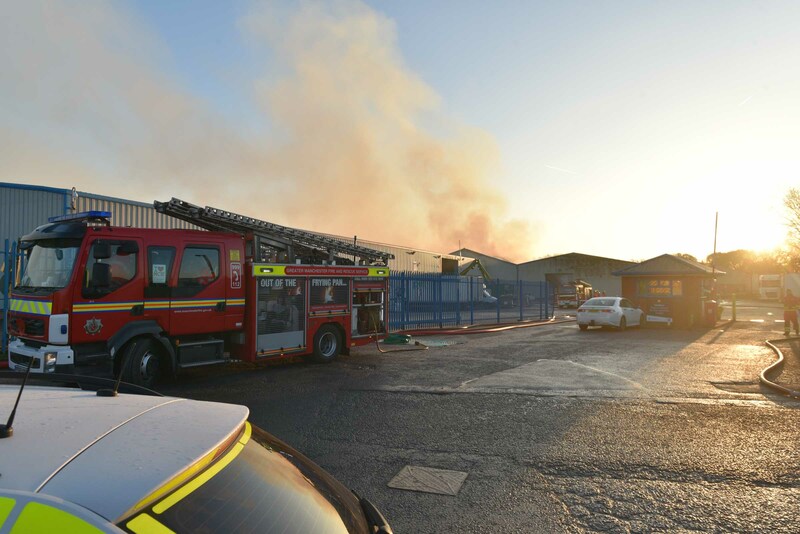 Firefighters are continuing to tackle the fire at a warehouse in Little Hulton. 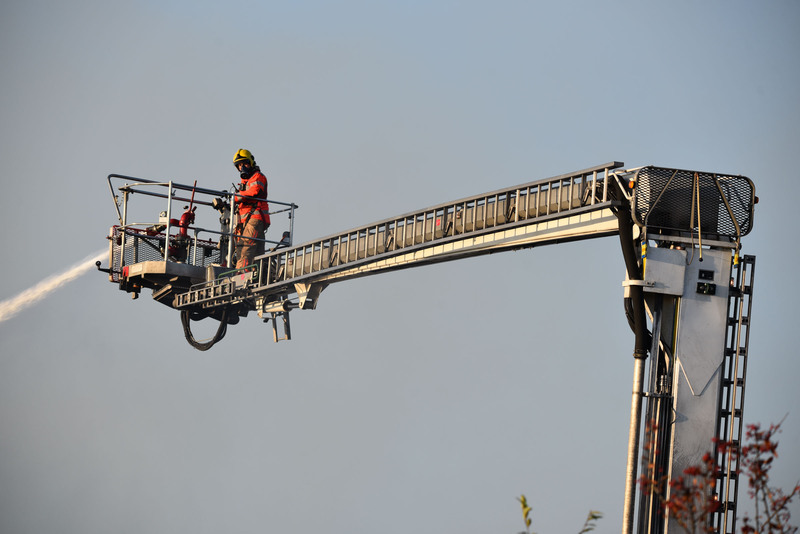 Crews are expected to remain at the scene for the next 24 to 48 hours. 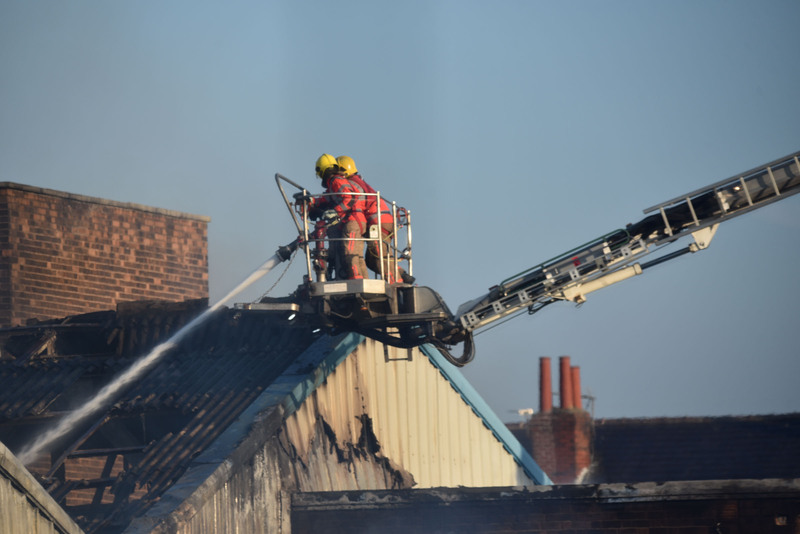 The building has partially collapsed and due to the extent of the damage will need to be demolished. 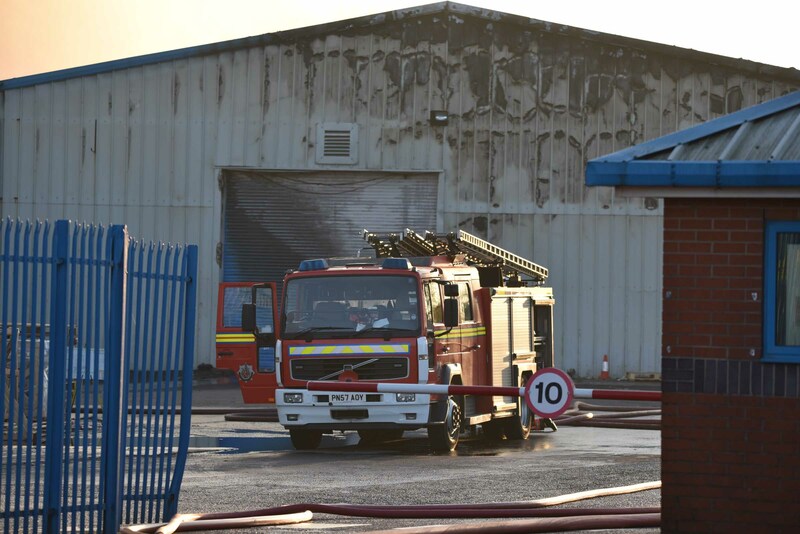 Firefighters have continued to work at the scene of a large warehouse fire this afternoon. 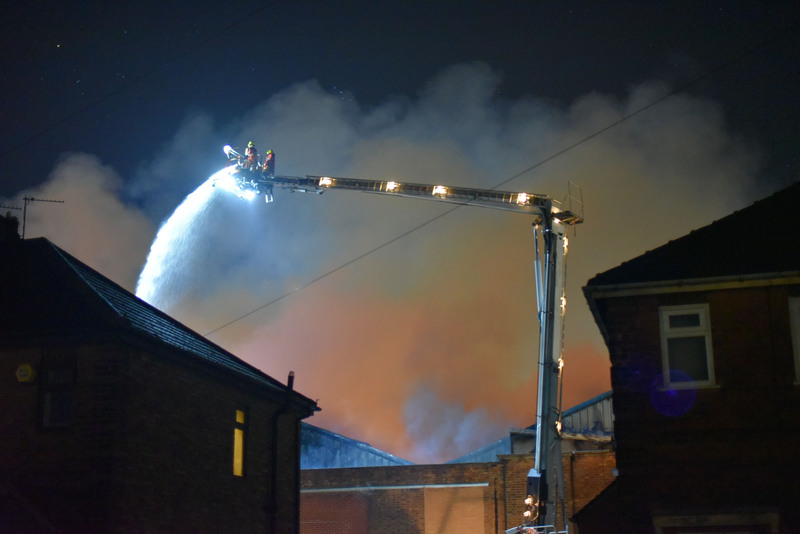 Five pumps and two aerial appliances remain at the scene of the blaze and demolition of the building started earlier this afternoon. 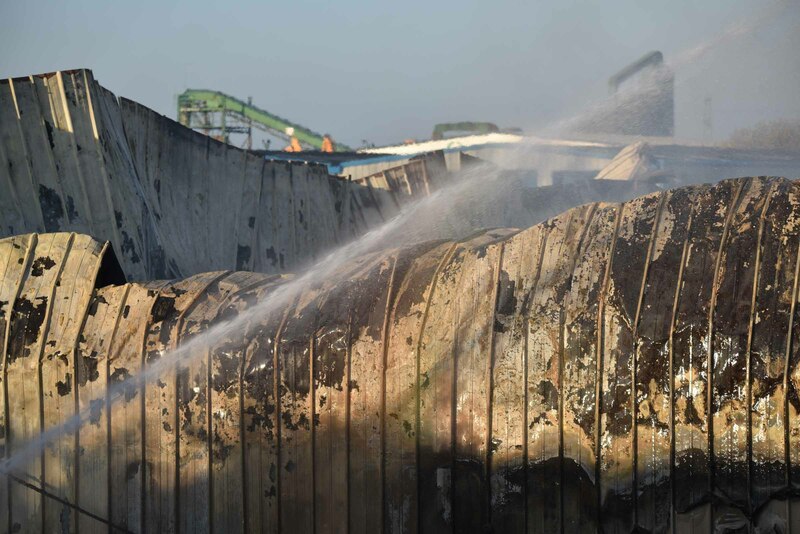 The fire no longer poses a threat and is not distributing ash or debris. 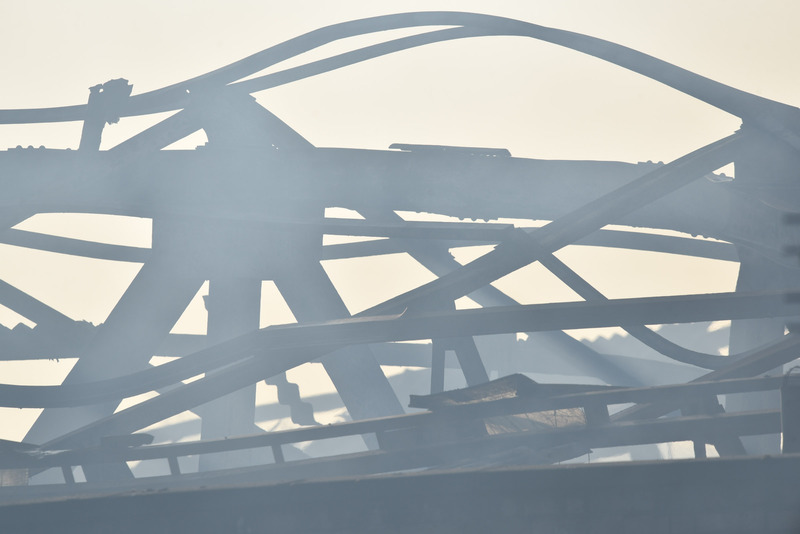 Risk to health is low and there is unlikely to be any significant exposure to asbestos following fires involving materials containing asbestos. More information on debris and what to do can be found by clicking here. 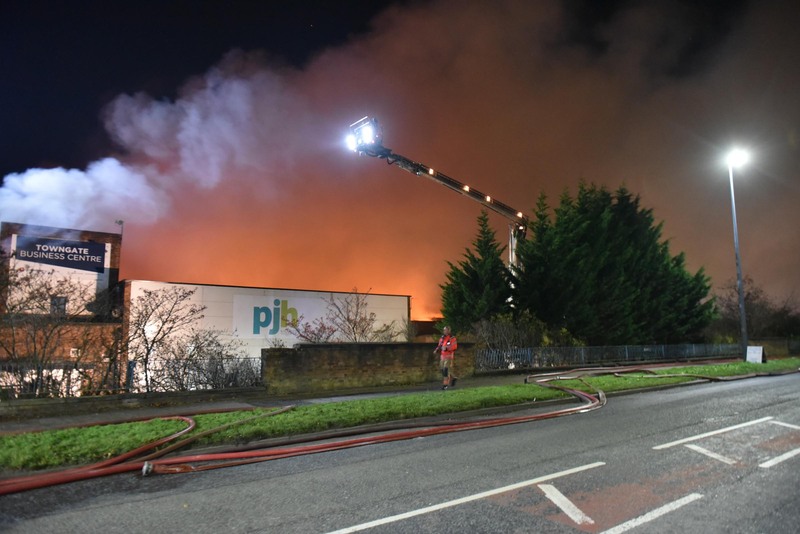 FIREFIGHTERS remained at the scene of a large warehouse fire through the night. 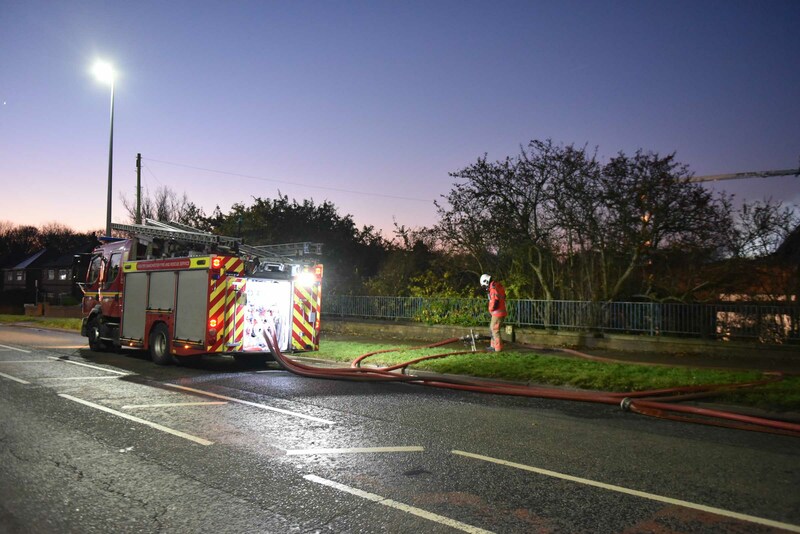 Two pumps and an aerial appliance remain at the scene and have this morning been working to extinguish the final small pockets of fire. 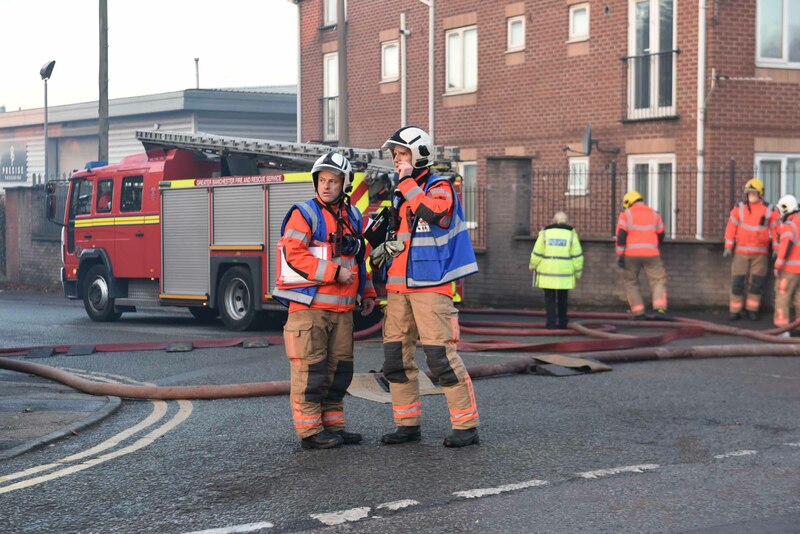 The latest information for residents in Salford regarding the debris can be found here and here for people living in Bolton. 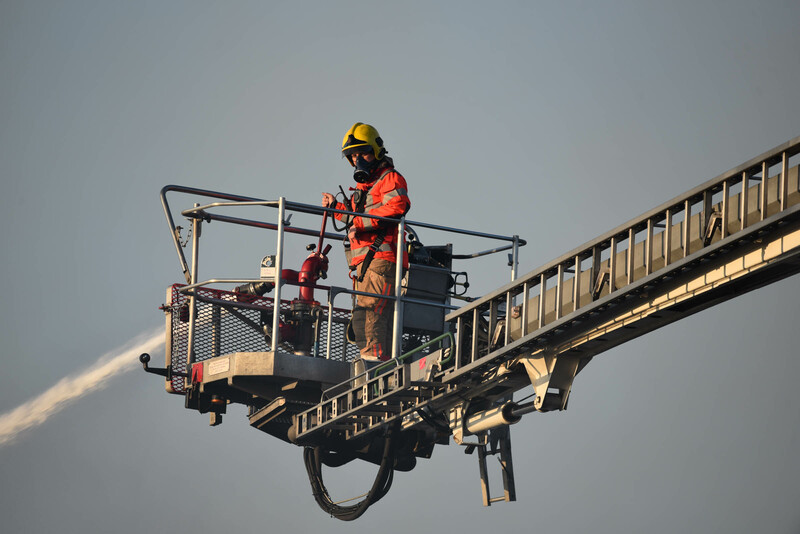 Copyright ©2019	| Fire Photos | Proudly powered by WordPress | Theme: whiteboard64 by Suman Shrestha.